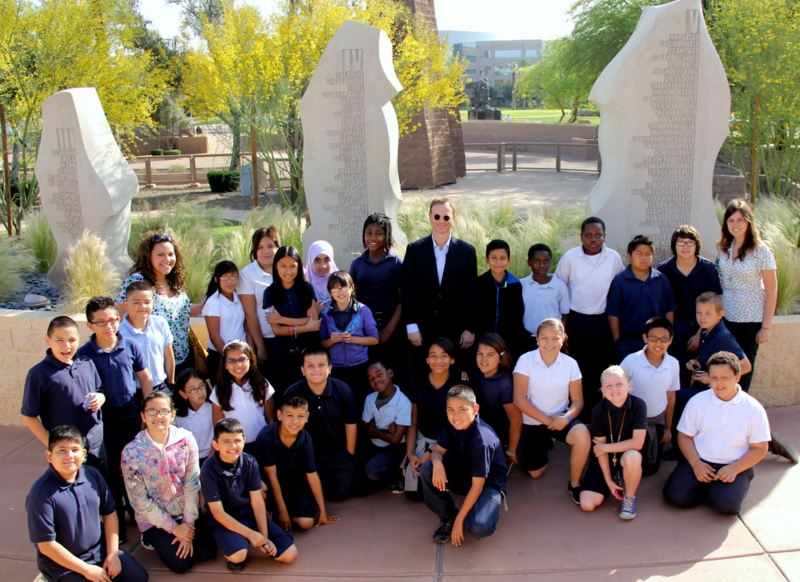 Academy Award nominee Gary Sinise took time out on a recent visit to Phoenix to visit the Bill of Rights Monument at the Arizona Capitol. Sinise met with a class fifth graders at the site, touring the monument and leading an informal class about the importance of the Constitution and the Bill of Rights. Sinise was in Phoenix to receive an award from the Joe Foss Institute in recognition of his work on behalf of disabled veterans and dedication to our men and women in uniform.